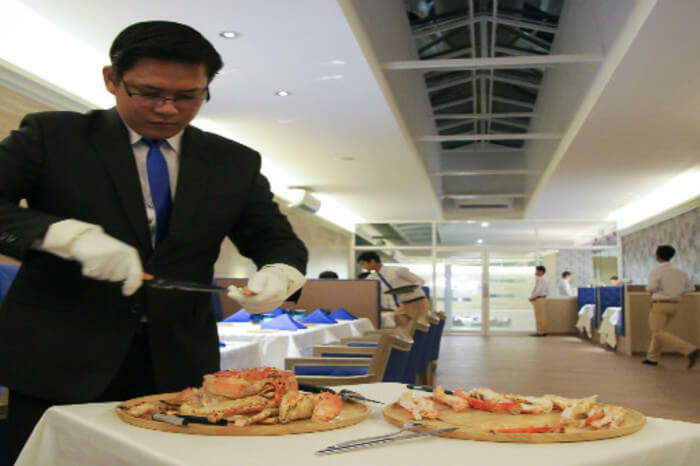 Ocean Prime Steak House Phnom Penh is located N˚74 street 592 (Tuol Kok). 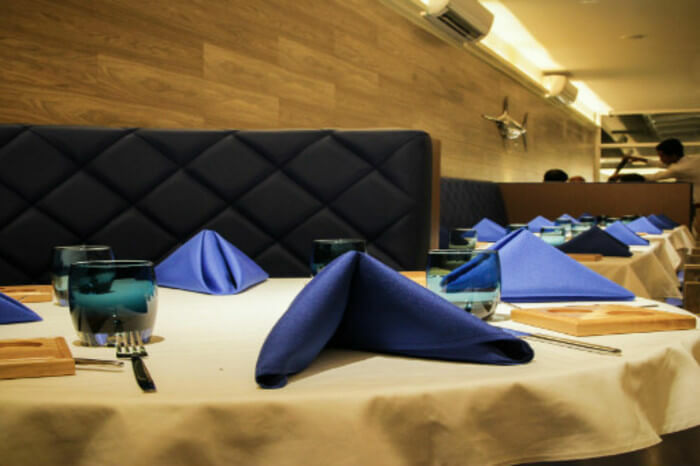 The restaurant’s atmosphere is peaceful and classic, the fish tanks and tasteful wooden artifacts provide a comfortable place for guests to relax and unwind after a long day. 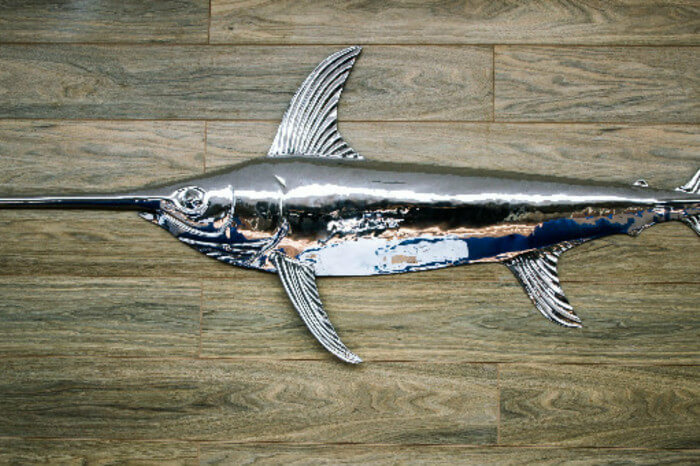 Ocean-prime Steakhouse is a casual dining, full-service restaurant that serves lunch and dinner, with an addition of 6 private rooms. We offer a wine cellar with vintage depth, strong vertical offering of top wines and excellent breadth from major wine growing regions, American and from around the world. While serving tender, juicy steaks we also feature a broader menu consisting of sea-food and live sea-food. Freshly made salads, soups, sharing plates and tempting desserts accompany these delicious entrees. USDA Prime Graded Steaks are the star attraction; we feature an engaging ambiance and a lively atmosphere with a delectable selection of steakhouse fare. Live Alaskan King Crab, Boston Lobster and French Oysters are also awaiting you. “We know that the people of Phnom Penh respect quality & hospitality, and we are looking forward to being part of this community for a long time. Phnom Penh’s resident are not hungry, we have to offer more than food: an experience. We’re excited about serving the local residents a truly great steak & sea food restaurant in a comfortable, genuine atmosphere.” said Hervé Beal, Owner of the Ocean-Prime Steakhouse. So whether you are looking for a great steak or imported live sea-food, celebrating a special occasion, re-uniting with old friends or meeting for the first time, you will love to do it over a great meal at Ocean-Prime Steakhouse. The next time your life calls for getting together with friends or family, head on over to Ocean-Prime Steakhouse or to one of the private rooms. Visit us: #74 Street 592 (Tuol Kok) – Phnom Penh. © 2019 New York Steakhouse Phnom Penh. All Rights Reserved. Developed by BiKay.